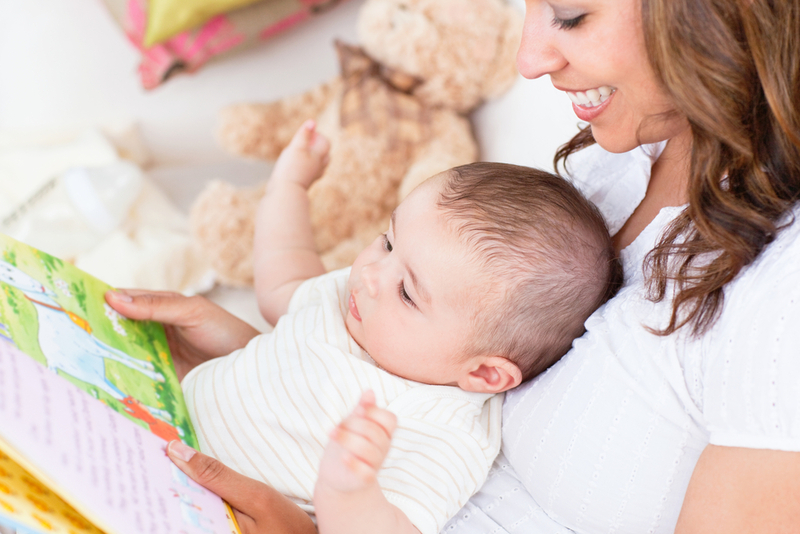 It’s common knowledge that reading is a fundamental part of learning for young children, but did you know that it’s just as important for babies? During the first year of life, a child’s brain develops at a rapid pace. Reading facilitates brain growth, expanding the synapses and positively impacting various developmental areas. It aids in speech development, teaches them about emotions, and even helps their vision. 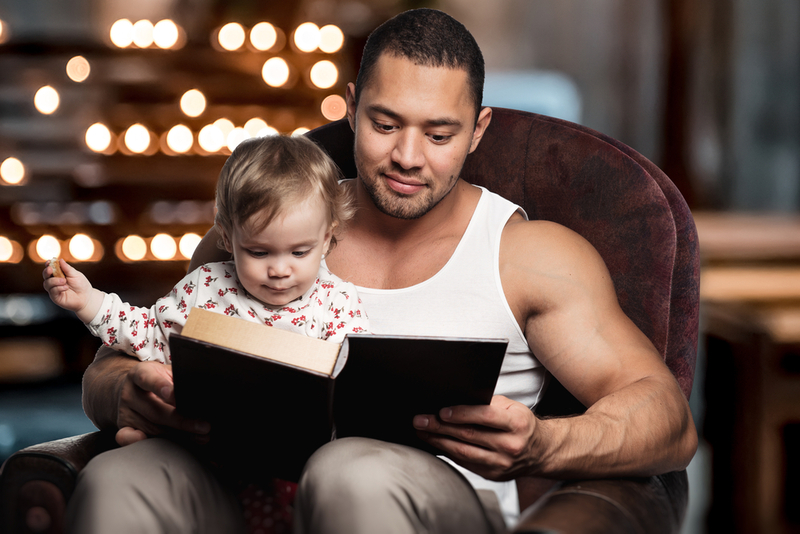 Plus, reading a baby book to your baby will help foster a lifetime love of learning, and it’s a great bonding experience, too! Given how important reading is for babies, it’s no wonder there are countless books to choose from. But, which titles will your little one really love? Here’s a look at some classics that you should definitely consider adding to your baby’s first library. Written by Karma Wilson, Bear Snores On is a wonderful addition to a baby’s library. While Bear is hibernating, several friends seek shelter from the stormy weather in his cave. Several furry critters have a feast while the Bear snores on, but he eventually wakes and joins in on the fun. The text is full of rhymes, making for a sing-song delight that your baby will be sure to love. Eric Carle is a beloved author of children’s literature, and The Very Hungry Caterpillar is one of his most popular titles. The story of a caterpillar who eats his way through tons of snacks until he becomes a butterfly, this book introduces babies to the scientific concept of metamorphosis, while teaching them to count. The illustrations are colorful and interactive, which further enhance the delight of this book. This Margaret Wise Brown book is a must for your baby’s library. It’s the story of a bunny who says goodnight to everything in his room and the world that lies outside his window, just like most little children do before they go to bed. The story is told in rhyme, which makes it more engaging, and the illustrations alternate between bold colors to black and white. This is truly a classic that you are going to want to have in your little one’s library. Peggy Rathmann tells the story of a sneaky gorilla who leads himself and his animal friends into a zookeeper’s house for a sleepover. The story is told almost entirely in pictures, which are beautifully drawn. Being that there are very little words, you have the opportunity to tell the story however you want to, making it fresh and exciting every time you read it. A personalized baby book, with baby’s name added into the story makes a great addition to any child’s first book collection. Hearing their own name will draw them in, encouraging them to engage with the books more and creating a lifelong love of reading. Plus, as they age, the personalized book will become a treasured keepsake, which reminds them of the times you spent reading together! In this timeless story by P.D. Eastman, a baby bird is looking for his mother and meets several different animals during his search. 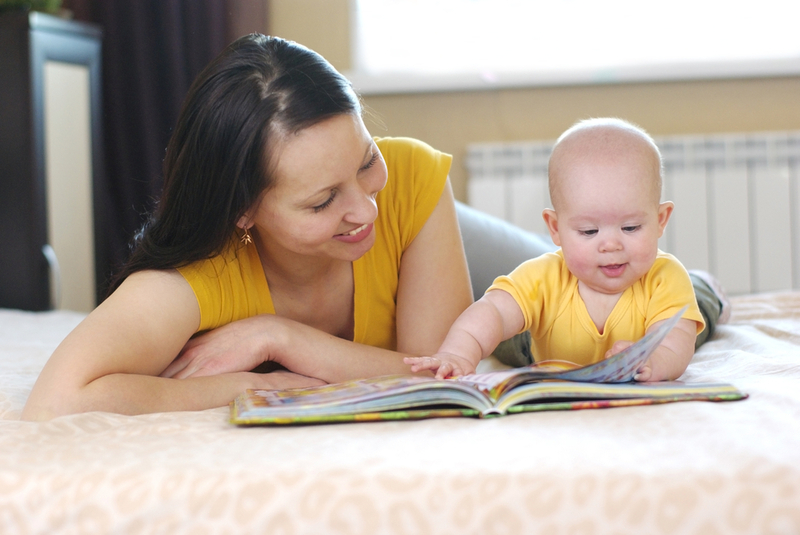 The use of repetitive phrases throughout the story will help to build baby’s vocabulary and recall. It also allows him to learn that everyone has a mom, even animals. These amazing pieces of children’s literature will serve as an excellent foundation for your baby’s first library and prepare you for tons of reading fun with your little one. Personalized Superhero Books Can Inspire Your Kid to Go Above and Beyond!